HMMMM is he really secure? 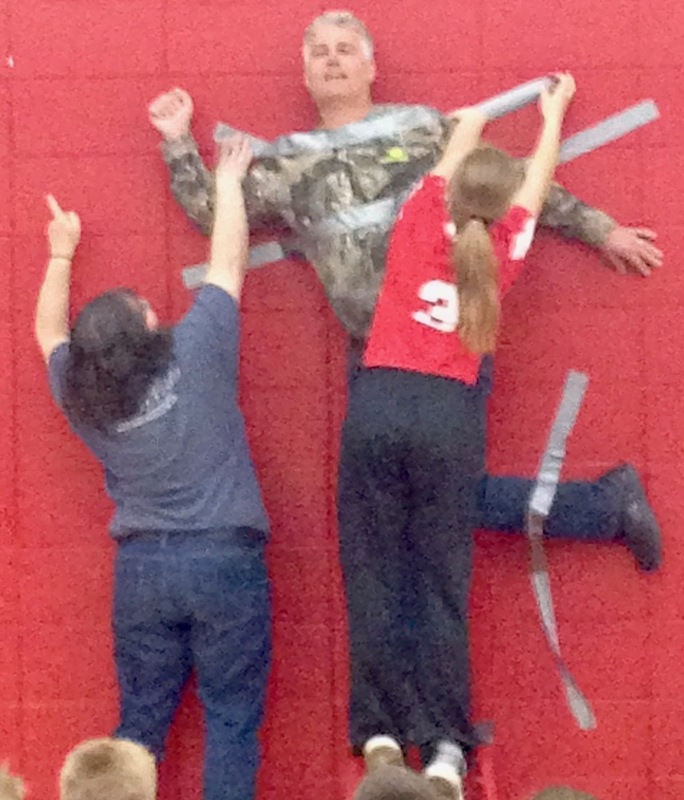 Miss Suzie, Mr. Hulett and Mrs. Skoug aren't certain this is safe OR are they loosening the tape? Oh boy! This one is a little loose! HMM! Ms. Wojcik you really don't want to add to this, do you? You look pretty excited about it! 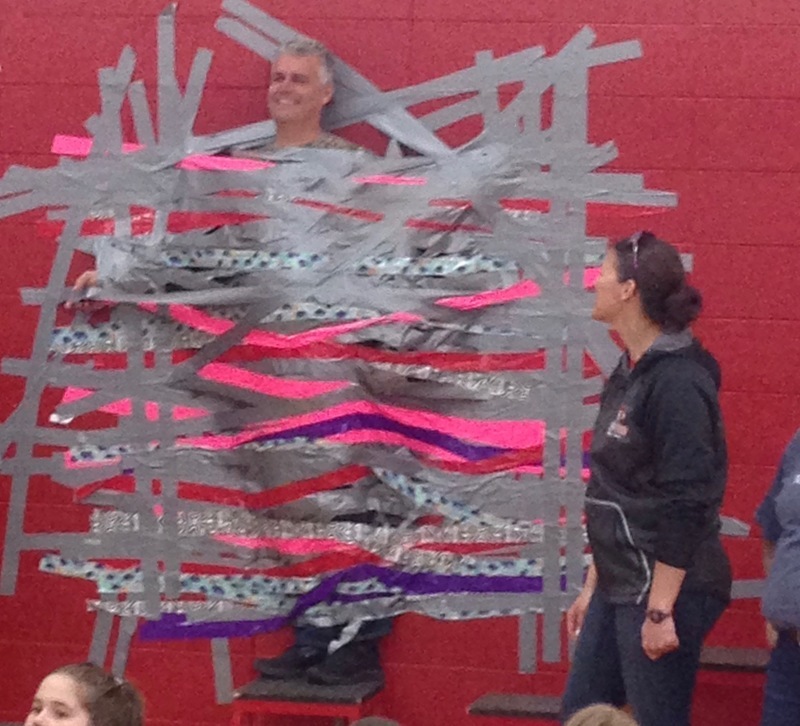 And why is Mr. Kempf like this you may ask? He loves duct tape? NO! He is not claustrophobic? NO! 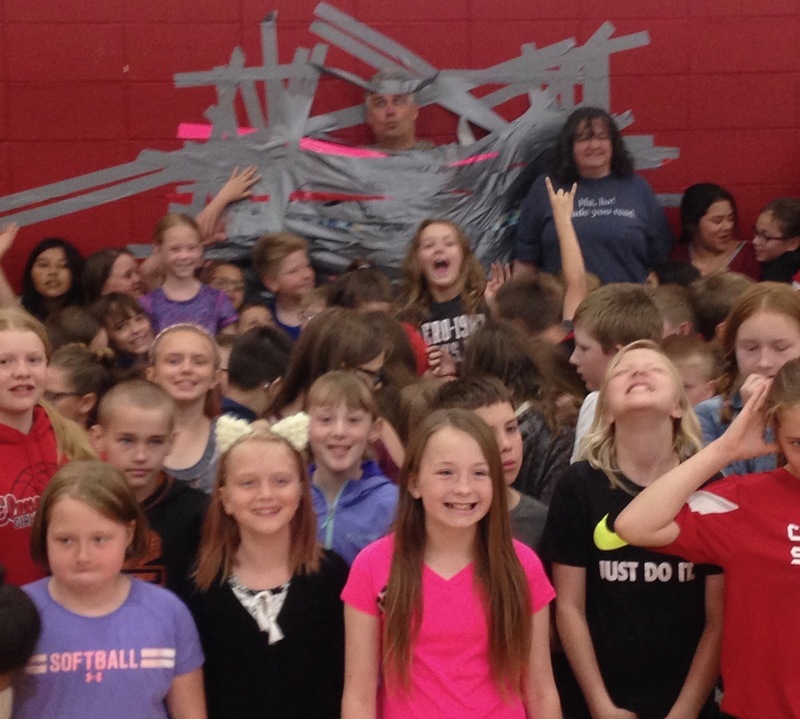 The 4th-6th graders were challenged to read and earn a piece of duct tape? YES!! 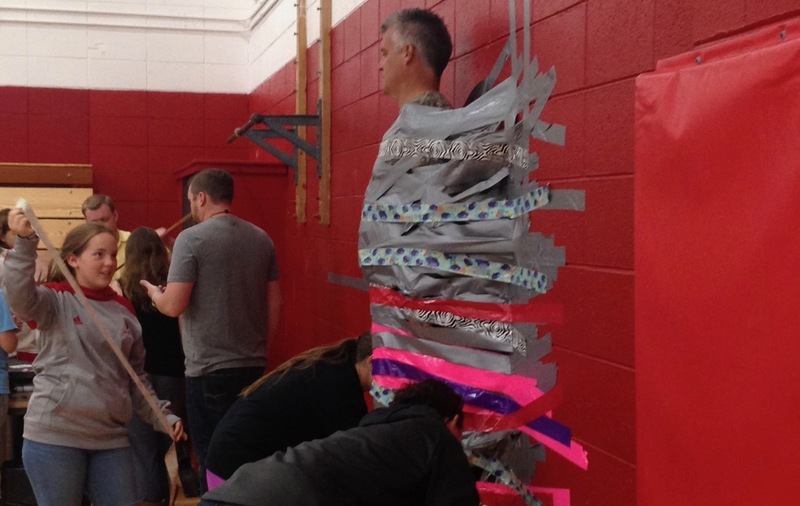 Their Principal Loves them? YES! Are they HAPPY? You make the call!